If you like our "Where in the World is JLME?" column, then you'll love the new feature on the ASLME website. 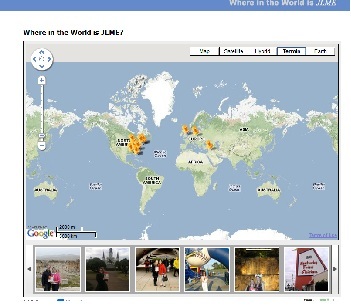 See where JLME has been on our new interactive map. Want to add your photo to our collection? Then simply snap a picture of you with your JLME and send it to to Margo Smith at margo@aslme.org. Every May, we honor our moms by celebrating Mother's Day. 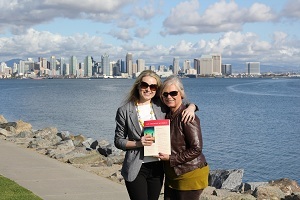 In recognition of the occasion, this month's"Where in the World" photo features Assistant Editor Courtney McClellan and her mother with the journal at a mystery location. Do you know where they are? Then email us your guess! The first person to respond correctly will receive a special prize! Don't forget to submit your photos and guesses, and join us next month to see where JLME will travel to next!